An innovative creation of virtual reality (VR) development, announced by Signify, for its customers. With the new lighting VR apps, Philips Fashion Lighting VR and Philips Urban VR, users can immerse themselves in the virtual world to visualize how lighting can transform their fashion store or city street. Philips Fashion Lighting is designed for professional fashion retail customers. Through a VR headset, they can learn from the accurate 3D renderings and see how lighting can make shop windows more dynamic to attract a shopper’s attention and draw footfall into the store. 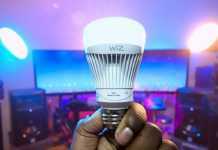 Furthermore, the experience enables retail customers to visualize the power of lighting to make whites brighter, blacks crispier and colors more vibrant. And it illustrates the importance of lighting in virtual fitting rooms to positively influence the buying decision. 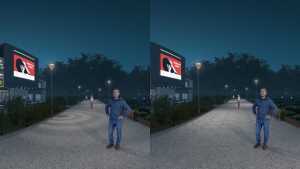 Philips Urban VR, the other VR application would bring city planners to a journey to see the effects from Philips street light luminaires as they walk down the road. The interactive experience allows them to make more informed decisions when selecting the suitable lighting for their city or town. Signify has created a virtual city center, park and residential area.